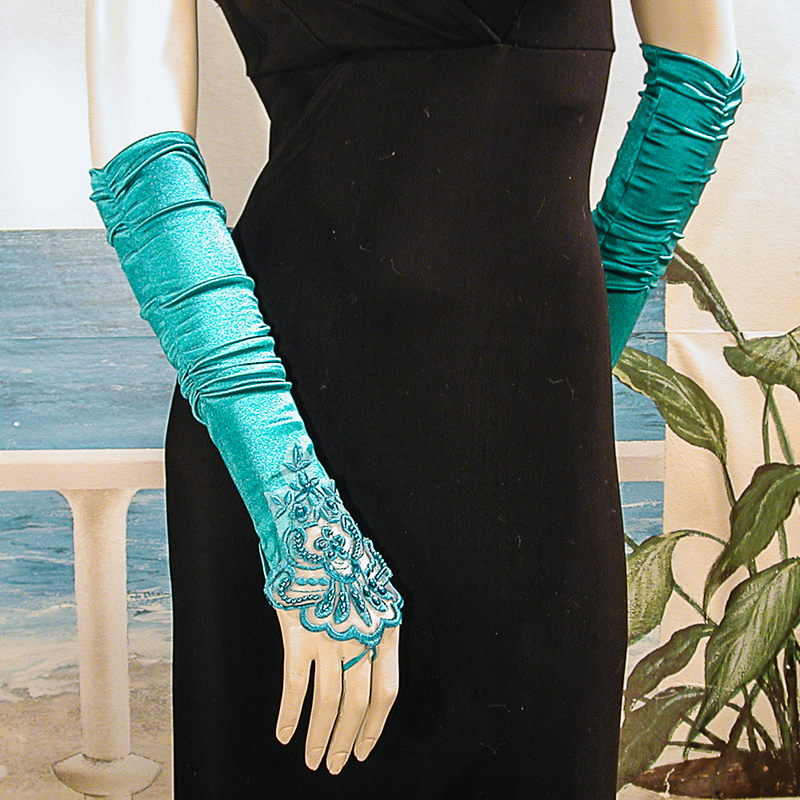 Embroidered Satin Fingerless Gloves Long satin fingerless gloves with openwork embroidery, beads and sequins. These gloves are shirred above the elbow and the embellishment is on the hand. The small pearl beads match the color of the gloves and the sequins are faceted and clear. With 10% Lycra and elastic shirring one size fits most. Color: peacock Hue: Code: #02C4BD.